Calling all volunteers. 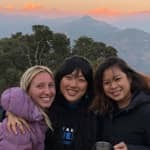 A 2 week program volunteering in a remote Nepali Village. No specific skill set required, just a willingness to assist. 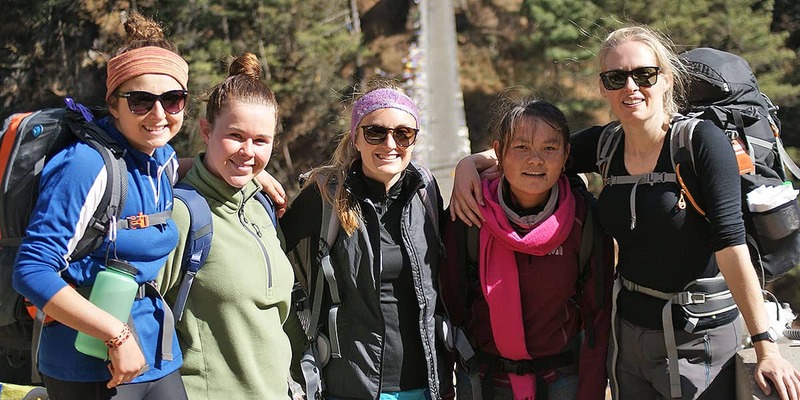 Our Nepal Village Volunteering program is open to people of all ages and interests. You don’t need to have a specific skill set to participate, just a willingness to assist with various jobs around the village. Traditionally, it’s a two-week itinerary with placement in Batase Village, which is located in the Lower Himalayas. 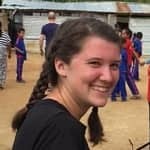 While in the village, you’ll assist with various jobs each day, such as helping at the local school, cooking meals for some of the orphans housed in the village and/or assisting the hostel children with homework. You would never be expected to perform any work you felt you were unsuited to, and you could expect a wide variety of tasks to be presented to you, working alongside villagers as they go about their daily lives. 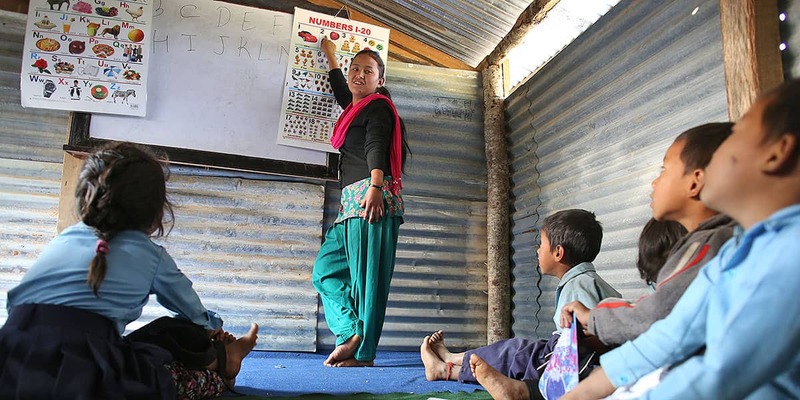 Our Nepal Village Volunteering program is tailored to groups and individuals. Previous participants include teenagers from Australian schools and the elderly. 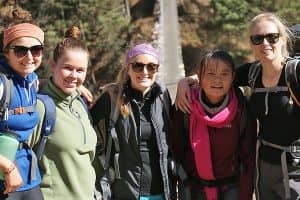 Take on Nepal can cater to a group of friends wanting to volunteer together, a college class, a single person or a couple. Your program will be custom built to suit your experience, wishes and departure date. The price includes most meals and accommodation. Please note, although you are volunteering, there is still a cost to the villagers to host your stay, that is why there is a charge for the trip. Your fee is mostly contributed directly back to the village, to facilitate improvements. 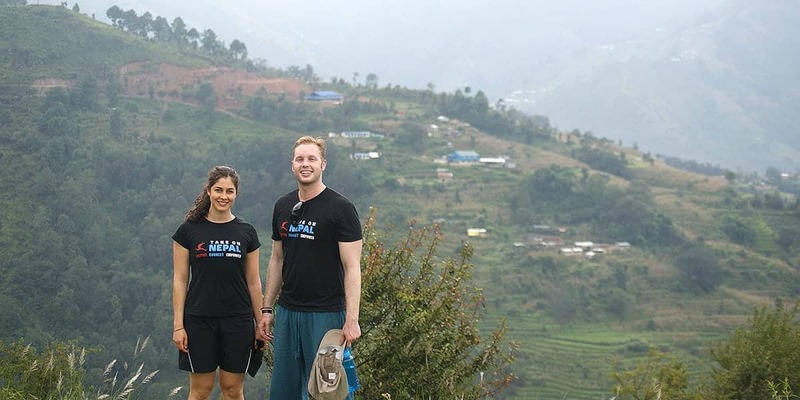 The Nepal Village Volunteering Program can be booked for a maximum of 8 participants and a minimum of 1. 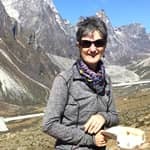 As Kathmandu is the starting point for all Himalayan trekkers, many shops do exist to cater to Western tastes, although they are quite basic. Any luxuries you cannot do without, should be brought with you from home. It’s also a good idea to carry a stock of energy bars (or chocolate), as these can be difficult to get hold of once you reach the village. These bars could prove a lifeline, if you find the local village food difficult to eat. As well as chocolate bars, we recommend that you purchase toilet paper and any other essential items that you may have forgotten. You will also be able to hire/purchase a sleeping bag from a shop in Kathmandu. 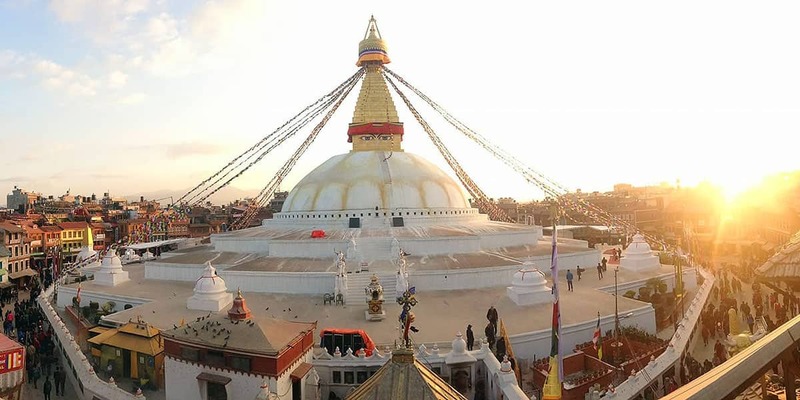 After breakfast and the introduction, you’ll be guided to the famous Buddhist Swayambunath Temple in Kathmandu. This temple attracts Buddhists and tourists from around the world. The view of Kathmandu valley from the top of the temple is stunning. The group will then enjoy a local lunch at a typical Nepali restaurant. The time after lunch is allocated for purchasing items for your time in the village. 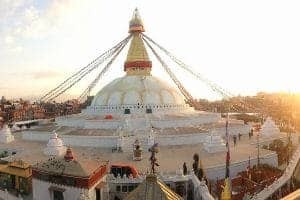 The group will come together in the evening, to enjoy a traditional Nepali dinner, after which you will have the opportunity to discuss any concerns and will be briefed on the following day’s plans. Time to hit the road, so put on your walking boots. The day starts early, with a 7am breakfast at you hotel, after which a car/mini bus will take you on a one hour drive to Sundarijal, on the outskirts of Kathmandu. Your walk to Chisopani will begin in Sundarijal. The trek from Sundarijal to Chisopani takes about six hours. The unpaved road from Kathmandu turns into a trail near a small hydroelectric plant. The trail enters through the Shivapuri Watershed and Wildlife Reserve. The first settlement you will come across is Mulkharka, with Tamang inhabitants. The route heads down the ridge through a forest of oaks and rhododendron to Chisopani (2300m.) This will be a long day, taking in some truly stunning scenery, and should provide you with some great memories. The pace will be slow, so you don’t need to be super fit to enjoy the experience. NB: For those less fit or able, transport will be provided, but where possible, volunteers should walk to the village. Wake up early to enjoy the sunrise over the Himalayan mountain range. We strongly encourage everyone to wake up to this unforgettable experience. After breakfast, we will commence our downhill walk to Patybanjyang, where you will experience some great views of the Himalayas. After a short stop in Patybanjyang, we will walk uphill towards Batase Village. 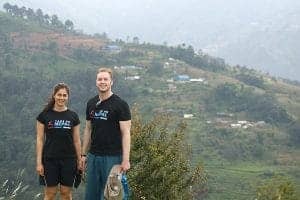 The surrounding scenery is breathtaking, looking across a vast valley to see rice fields, villages and people going about their daily lives in rural Nepal. This section of the walk will take you along the ridge of a mountain overlooking the other surrounding mountains. Many travellers have commented on it being a humbling experience. Upon arriving in Batase village at approximately 3pm, you will meet Som’s family and enjoy your first meal in the village. Accommodation: Typically, you’ll stay in our purpose built volunteer home in the village, where you would prepare and eat your meals. The only transportation within the village and surrounding area is your own feet, so a pair of comfortable walking boots is a requirement. Though many of the villagers go barefoot, we don’t expect that from our volunteers. Dinner will be provided at approximately 6:30pm. The evening is your free time to do with as you choose. Many volunteers have loved spending time with the hostel children, teaching and learning through stories, dance and song around the fire. After breakfast, you’ll go to the local school and be provided with orientation about your placement in the classroom. The local students have encountered Western volunteers before, and always find the experience enjoyable. You will return to the hostel at 1pm for lunch, after which you’ll be given the option of returning to the school to continue teaching the students, or carrying out light duties within the village, such as farm work, painting or dinner preparations. On these days your work at the school and in the village will continue as outlined in Day 6. During the week, you’ll be given choices of activities to participate in. 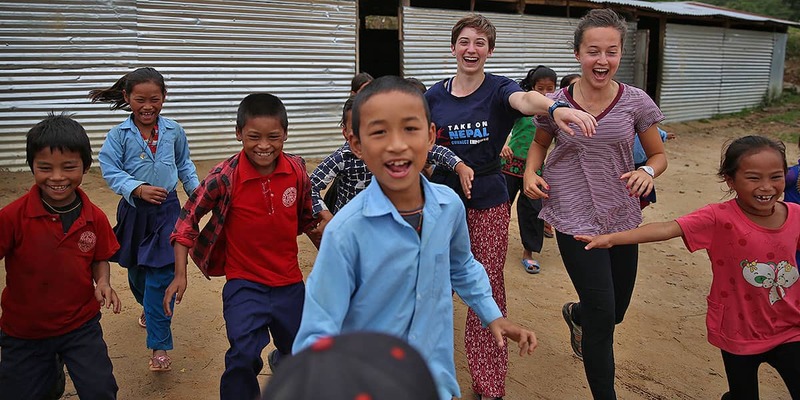 Though the first day teaching in the school and working with the villagers can be a little daunting, you’ll find that you quickly get used to the experience. Time for some R&R! Enjoy a relaxing day with your group. Your local guide will take you to the highest mountain top in the village, where the views of the surrounding mountains are spectacular. Here you will enjoy a picnic lunch and some relaxing time, before walking back down to the village for dinner. This day will also be an opportunity for you to share your experiences and thoughts with your group members and leader. Your day will follow the same schedule as days 7-10. On this, your last day of volunteer work, you will spend the morning teaching classes. You will enjoy your last lunch in the village, with the school teachers. After lunch, you’ll say your goodbyes to the teachers and the students, before returning to the hostel to pack and prepare for your departure the following morning. Enjoy your final breakfast in the village, before a 2-3 hour walk down the mountain to catch a bus to Kathmandu. This is an experience in itself. Your last night will be spent at your hotel in Kathmandu. 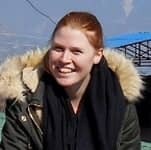 You will enjoy a final farewell dinner with a Take on Nepal team member that evening ,to mark the end of your volunteering time with us. NB: The itinerary is not fixed. It can change depending on circumstances on the ground, such as local events and time of year. Additional side trips might be made if something worthy presents itself. A sleeping bag, a comfortable pair of boots that have been worn in before you get on the plane, a warm fleece jacket, any medications you might require, basic pain killers such as Panadol, toilet paper, some energy bars or chocolate for those times that you tire of the local food, your mobile phone (there is mobile reception in the village thanks to a new mast on a nearby peak). A head torch (Petzel or Black Diamond) is essential in the village as the electricity supply is unreliable. The head torch makes it easier to do washing, use the toilet, brushing teeth, reading, etc. at night. Don’t weigh yourself down with too many electronic devices. 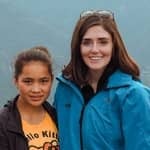 While we all love our Kindles, there’s no Wi-Fi in the village, so you won’t have the opportunity to watch any YouTube videos—but isn’t that the whole point of the trip, to experience real life in rural Nepal? There isn’t much to spend money on in the village, so lots of cash is not a requirement. Your food and lodgings are all taken care of by Take On Nepal. If you bring travellers cheques, you won’t have anywhere to cash them. They’ll only be of use to you if you plan to spend time in Kathmandu independently after your stay in the village. Please note: If you do not already own these items, we highly recommend that you purchase or hire these items in Kathmandu. They are made to a high quality and it’s always great to support the local economy. 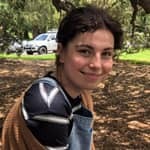 Another option is to hire a sleeping bag and jacket at a cost of approximately AUD$50 for each item for a period of 14 days.